Shane Larson can make your event the very best with great music and award winning food! Upper Michigan DJ Services and Upper Michigan Catering Services! Welcome to Shane Larson BBQ Catering. We are a Full service Upper Michigan Catering company specializing in real southern slow smoked BBQ Featuring our award winning ribs, chicken, pulled pork and brisket. All of our meats are slow smoked in our Ole Hickory Pits until tender and juicy. When choosing your Upper Michigan Catering, select Shane Larson BBQ Catering. Many people misuse the term barbeque. Barbeque is not a dish, or a cooking device, it is a skilled method of cooking. There is a distinct difference between grilling, roasting and barbequing. Grilling and roasting is done over the direct heat of a fire at high temperatures. The grilled or roasted flavor is caused by the searing, or browning, of the outside of the food. Barbeque on the other hand is the process of cooking meat at low temperatures for long periods of time until the connective tissues (fat) have broken down and meats have rendered it’s juices back into itself, resulting in a moist, tender and juicy meat. Our slow smoked barbeque is a carefully timed, slow process to ensure the best possible quality. Our meats are custom ordered, always fresh, never frozen! 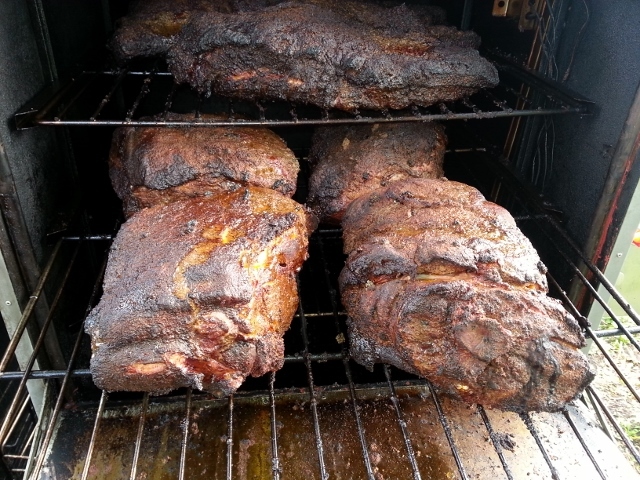 Shane Larson BBQ Catering is a full service catering company that specializes in high quality, freshly prepared foods. All of our meats and accompanying dishes are prepared fresh, from scratch, never processed, using top quality ingredients! 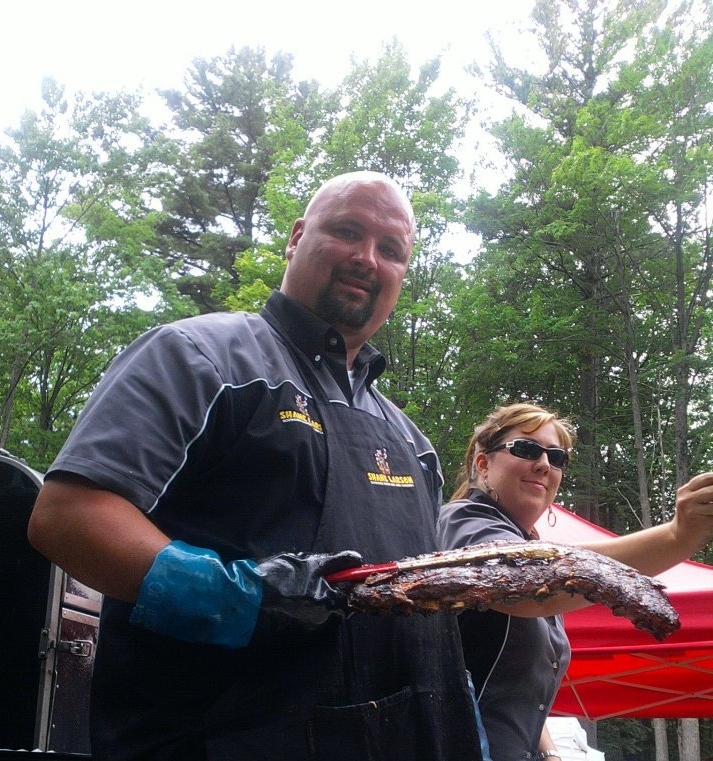 Shane's Upper Michigan Catering services are ready to provide your next event with award winning BBQ foods. 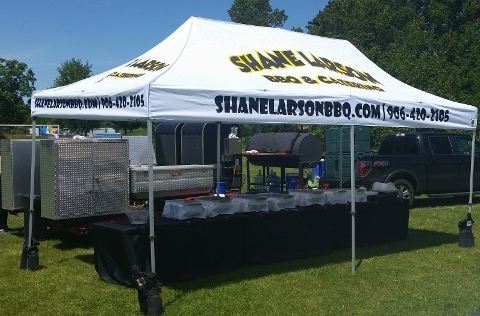 Whether you are planning a wedding, anniversary, retirement party, family picnic, family or class reunion, call Shane today for an unforgetable BBQ experience! Shane invites you to view his photo gallery of delectible dishes, his catering displays and equipment. Make your next event even more memorable with his award winning food! Click the photo below to visit.